IN AN LLC A solid fishing machine with many upgrades. NEW Bottom Paint, Top of the line Electronics, Pipewelders Tuna Tower, a large cockpit rigged for serious fishing, comfortable accommodations with a 3 cabin/3 head layout and reliable, twin CAT C-32 ACERTS @1800 hp each, 2,000 hour service just completed. 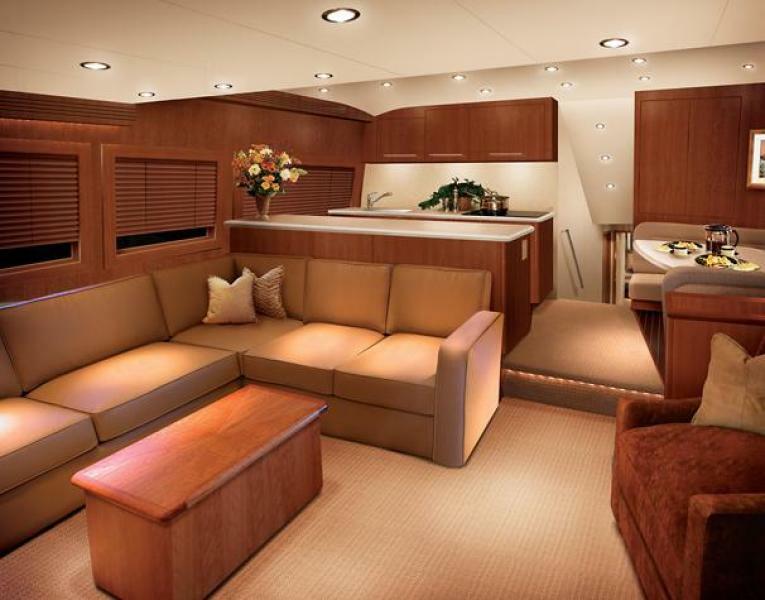 One of the best customized Hatteras Convertibles offered. 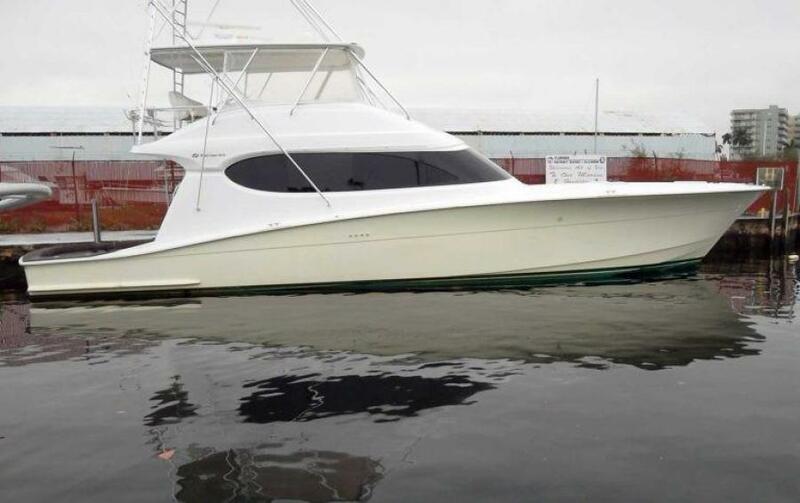 United Yacht Sales New Jersey would love to guide you through a personal showing of this 64' Hatteras 64 Convertible 2006. 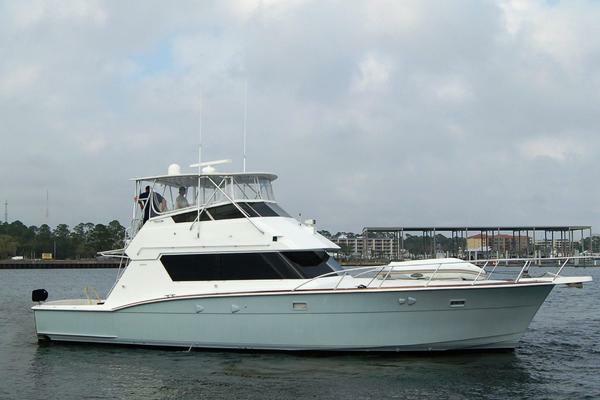 This yacht for sale is located in Fort Lauderdale, Florida and priced at $1,199,999. For a showing please contact us by filling out the form on this page and we will get back to you shortly! 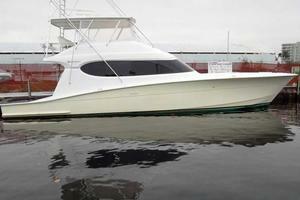 A highly customized Hatteras sportfish with many amenities for the serious fisherman. The large fly bridge features a tuna tower, 3 sided EZ2CY enclosure plus ample seating and storage. 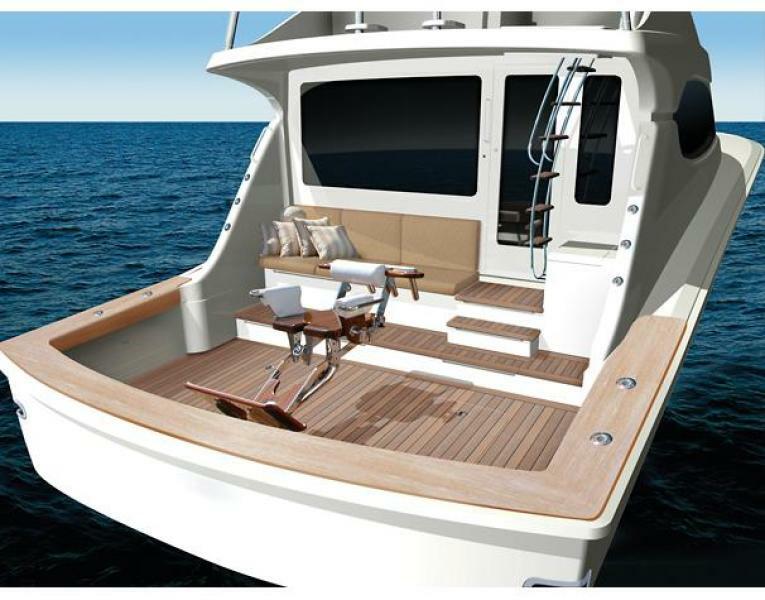 The cockpit is spacious and laid out in a way that will please any serious angler boasting a large bench seat, 10 cu ft. freezer, 4 drawer tackle station, modular storage and refrigeration. 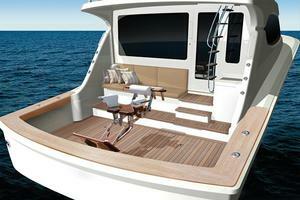 The deck is teak with an in-sole Eskimo ice maker, fish box and live well. Enter the salon from the cockpit mezzanine. 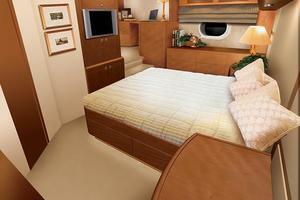 The interior is warm and inviting with high gloss cherry wood joinery. 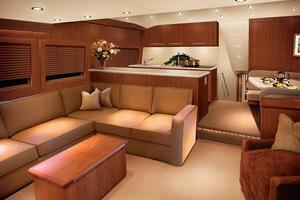 There is a large U-settee to port and an entertainment center to starboard. 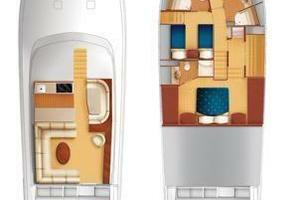 A full galley is forward to port with a dinette to starboard. 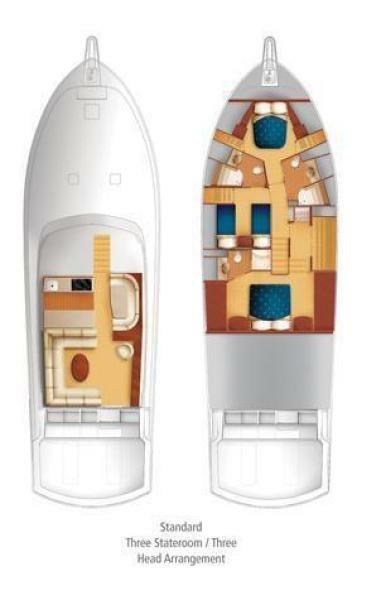 The lower deck has 3 en suite staterooms with a full beam master and entry foyer, a VIP cabin forward and a twin berth guest cabin to port. 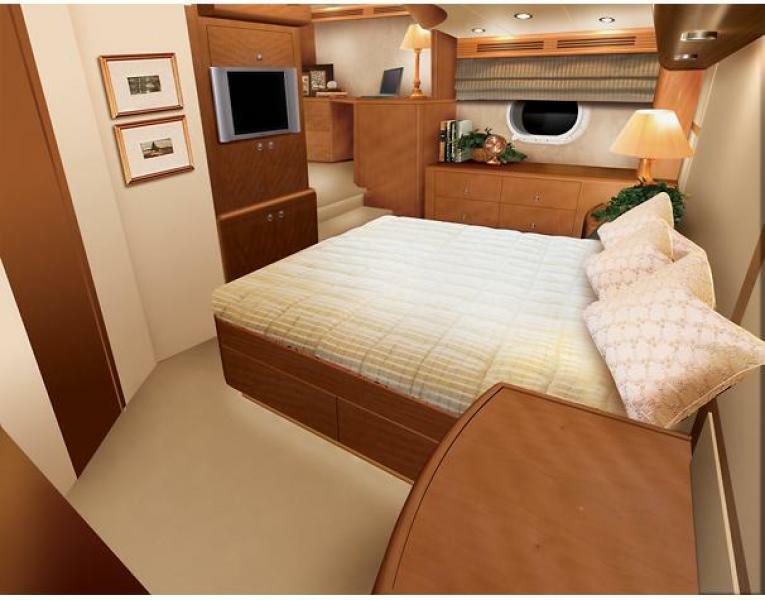 Each cabin is finished in high gloss cherry wood cabinetry with granite counter tops, ample storage and private en suite head with shower. 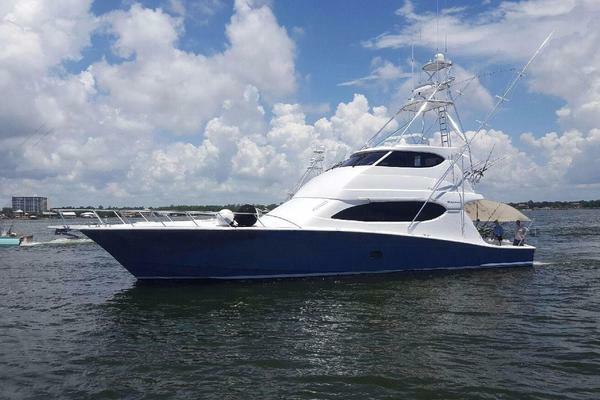 Many 2006 innovations were incorporated into the build which makes this Hatteras a proven performer in a variety of sea conditions.